Recently Microsoft announced that Windows Media Center will not be included in Windows 8. Media Center will be a separate pack you’ll need to purchase and install. Why don’t they just leave it alone? 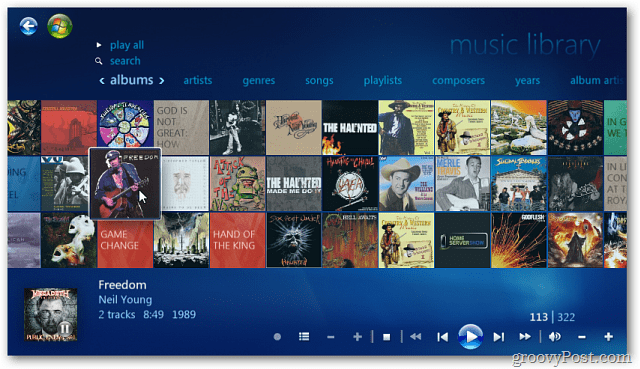 Recently Microsoft announced that Windows Media Center (WMC) will not be included in Windows 8. You will need to buy it as a separate package – even with the Pro version. It’s currently available in the Consumer Preview version, but when the final version comes out, if you want it, you’ll need to purchase it as a separate package. This diagram from the Building Windows 8 blog shows what will be needed to in order to get Windows Media Center on your Windows 8 System. So, if you get the “vanilla” version of Windows 8, you’ll need to purchase and install both the Windows 8 Pro Pack and Windows 8 Media Center Pack. No, these are not going to be free upgrades either. At the time of this writing Microsoft hasn’t revealed what each will cost. I would imagine a lot of users out there don’t even realize that Windows Media Center is included in their copy of Windows 7 or even use it if they do. But for those of us who are Cord Cutters – we are enthusiasts about it. We use it as our Home Theater PC (HTPC) and connect our Xbox 360’s to it (which bring up another question btw). If you can’t afford, or care to purchase the WMC Pack, how will the Xbox 360 connect to stream media to a Windows 8 machine without Media Extender? I would imagine something will be developed, but the question remains. But it doesn’t end there. While Windows Media Player will still be included in the OS, it will not include DVD playback capability. Microsoft says this is due to new media form factors, codec licensing and other reasons. Ok. They do have a point there. I rarely use a DVD anymore, but it sure is convenient when I need to though. Of course, I use VideoLan VLC anyway, so I guess this isn’t my main complaint. So you don’t have to read the blog post on this from Steven Sinofsky, here’s a couple of the main quotes. Given the changing landscape, the cost of decoder licensing, and the importance of a straight forward edition plan, we’ve decided to make Windows Media Center available to Windows 8 customers via the Add Features to Windows 8 control panel (formerly known as Windows Anytime Upgrade). This ensures that customers who are interested in Media Center have a convenient way to get it. Windows Media Player will continue to be available in all editions, but without DVD playback support. For optical discs playback on new Windows 8 devices, we are going to rely on the many quality solutions on the market, which provide great experiences for both DVD and Blu-ray. In the process of building a robust platform, we’ve also evaluated which in-box media playback experiences we want to provide. The media landscape has changed quite significantly since the release of Windows 7. Our telemetry data and user research shows us that the vast majority of video consumption on the PC and other mobile devices is coming from online sources such as YouTube, Hulu, Netflix, or any of the other myriad of online and downloadable video services available. In fact, consumption of movies online in the United States will surpass physical video in 2012, according to this recent IHS Screen Digest research. Then, on May 4th, Microsoft put together a series of FAQ’s which are vague on whether there will be a Media Center Edition of Windows 8 Pro or not. This is the only one in the FAQ that addresses it and it’s confusing. What does that even mean? So, there will be a Media Center edition, but you’ll never know it unless you look in system properties? Huh? A lot of questions remain to be answered about this in my opinion. And Microsoft is making a huge fail by passing extra cost on to HTPC enthusiasts by taking out what could have been an incredible part of Windows. If they cared enough to continued to develop and enhance it. It’s a good thing we have other choices – VLC and Plex Media Center come to mind.